Nexstep Commercial Products Acquires Greenwood Mop & Broom, Inc.
Nexstep Commercial Products, Exclusive Licensee of O-Cedar, is pleased to announce that Brandon Arachikavitz joined Nexstep on January 13, 2017. Brandon first started as a part-time shipping clerk here at Nexstep, but is now the Project Coordinator and internal IT support. Brandon attended college at both Michigan Technological University in Houghton, Michigan where he studied chemical engineering and the University of Illinois at Urbana-Champaign where he studied computer engineering. Brandon was born in Freeport, Illinois. He has lived in Champaign since the fall of 2013. Brandon enjoys his role as a Project Coordinator because it allows him to look for improvements to be made in everything that he touches and the ability to implement them just as fast as he can prove their benefits. In his free time, Brandon enjoys playing video games, going on road trips, attending concerts, and seeing movies. 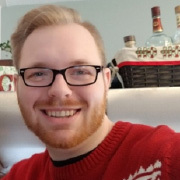 Brandon works out of Nexstep’s Corporate Office in Paxton, Illinois and can be contacted at (800) 252-7666 or fax at (217) 379-9901 or email. Please join us in welcoming Brandon to the Nexstep team. 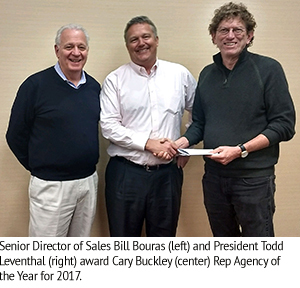 Nexstep Commercial Products (Exclusive Licensee of O-Cedar) is proud to announce Buckley & Associates, Inc. of Chantilly, Virginia is our 2017 Sales Rep Agency of the Year. This is the first time Buckley & Associates has been named Nexstep’s Sales Rep Agency of the Year. Buckley & Associates has represented Nexstep Commercial Products since 2010. They agency was formed in 1989 by Don Buckley. His son Cary Buckley soon joined him after graduating college the same year. Mike Missett joined the agency in 1996, and in 2004 Cary and Mike purchased Buckley & Associates. Over the years, Buckley & Associates has developed long lasting relationships with their distributor network, including in Maryland, DC, Virginia, and North and South Carolina where they represent Nexstep. In addition to Cary & Mike, Buckley & Associates sales reps for Nexstep include Robb Cannady, Jason Kane, Jordan Patterson, Wayne Foster and JJ Gruden. Two key individuals who handle the day-to-day administrative functions are Mary Buckley and Cheryle Terzigni. Nexstep Commercial Products would like to express our appreciation to Buckley & Associates and congratulate them on their outstanding accomplishments in 2017. Nexstep Commercial Products, Exclusive Licensee of O-Cedar, is pleased to announce that Sue Taylor joined Nexstep on July 5, 2017, in Accounts Receivable/Software Systems. 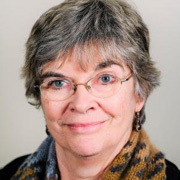 Before joining us at Nexstep, Sue worked as a VP for Consulting at ACG Incorporated in Dayton, Ohio – a Sage Software and Business Systems Consulting. Nexstep was one of Sue’s clients for several years. Sue was born in Dayton, Ohio, and has been happily married to her husband Ken for two years. They currently reside in Dayton. Her husband has two children and four grandchildren. They also have a dog and six cats. In her spare time, Sue is the music director at her church and enjoys playing the trumpet and the piano. She also loves animals and has been active in animal rescue for many years. Sue will work out of Nexstep’s Corporate Office in Springfield, Ohio, and can be contacted at (937) 322-5163, Ext. 128, or via fax (937) 322-6826 or email sue@ocedarcommercial.com. Please join us in welcoming Sue to the Nexstep team. Nexstep Commercial Products (Exclusive Licensee of O-Cedar) is very excited to announce that effective immediately TNT Unlimited, Inc. will be representing us in Illinois (north of Mattoon), Wisconsin, and Indiana-Northwest. TNT Unlimited was incorporated in 2008 and has won numerous awards since entering the Midwest market. Their dedicated sales team includes 3 outside sales professional in Illinois and 1 outside sales professional in Wisconsin. Nexstep Commercial Products is proud to announce that our MaxiPlus® Microfiber Pocket Wet Mopping System was chosen as a 2017 Sanitary Maintenance Distributor Choice Award Winner. The Sanitary Maintenance Distributor Choice Awards Program recognizes the most innovative and useful sanitary supply products of the year, as determined by sanitary supply distributors who voted in an online campaign. The voters are readers of Sanitary Maintenance magazine, which reaches 15,000 of every type of distributor active in the sanitary supply marketplace, including janitorial, paper, foodservice, industrial and wholesale. Our MaxiPlus® Microfiber Pocket Wet Mopping System is the ultimate in touch-free operation. It’s easy, fast rinsing/wringing system makes cleaning quick and efficient. Stepping on the lever folds the frame in half, allowing the user to wring in a traditional mop bucket. The 16″ x 5″ pad absorbs seven times its weight in liquid and features colored tabs to prevent cross-contamination. The 16” break-away frame can be used with all standard pocket mops. Nothing is better than O-Cedar Clean! Nexstep Commercial Products (Exclusive Licensee of O-Cedar) is proud to announce Nancy Pailes as their Top Performer for the first half of 2017. She acquired 3 new accounts from January to June. Nancy Pailes is owner of Modern Sales Company. Modern Sales was founded in 1975 by Nancy’s father, Larry Flury. Nancy started with the company after graduating from Bowling Green State University in 1983. They have represented Nexstep Commercial Products since April 2013. Nancy runs the business today along with her brother, Charlie Flury. This is her second time being named our Top Performer. Over the years, Modern Sales has developed long-lasting relationships with their distributor network in the Ohio, West Virginia, Western Pennsylvania, Indiana, Kentucky and Michigan markets. Nexstep Commercial Products would like to express our appreciation to Nancy and congratulate her on her outstanding accomplishments in 2017.